In DISLO-MAN CEDEO develops a system to troubleshoot and apply corrective actions to production machines. To perform actions presented by the expert on the machine using augmented reality techniques. 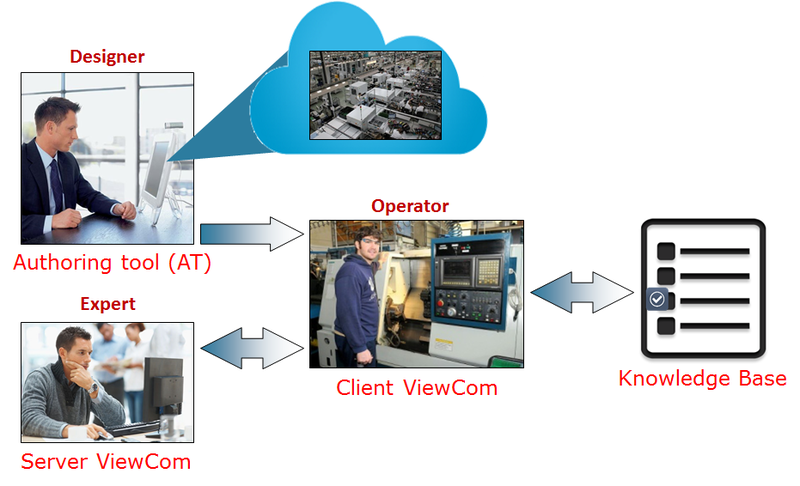 The expert uses the information captured and transmitted by the operator (video, ambient data, etc.) presented on a dashboard, to show to the operator the actions to be performed using augmented reality techniques. Creates augmented reality scenes for solving known problems in order to add them to the virtual instruction manual to be delivered to the client along with the machine.. The operator to mimic the actions proposte by the expert in the augmented reality scene.